Allegra Boverman/Gloucester Daily Times. The beards of Manchester Essex Regional High School. 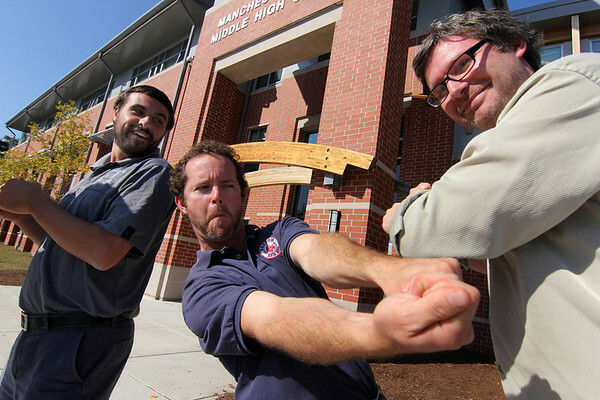 From left are: Bryan Shields, a special education teacher, David Alger, a math teacher, and social studies teacher James Wallimann.